The Genesis of the event was given to Dwight Pope, It’s an event that will totally be produced by men, décor, food, hosting, entertainment, affirmations. Men will buy all tickets as a gift for women that they want to affirm. The event will focus less on Breast Cancer as a whole and more on Honoring and affirming our women. Throughout history our women have shouldered the burden as backbone of our communities, they often carry so much pain to keep their loved ones from worry. Men for the most part have been silent in their struggle; we support them in non-verbal ways, but they need to hear from us, they need us to open up about how we feel about them. This event will serve as a formal acknowledgement to all of them, our Mothers , Grandmothers, Aunts, Sisters and friends that we are here, we see their sacrifice and we Love them. 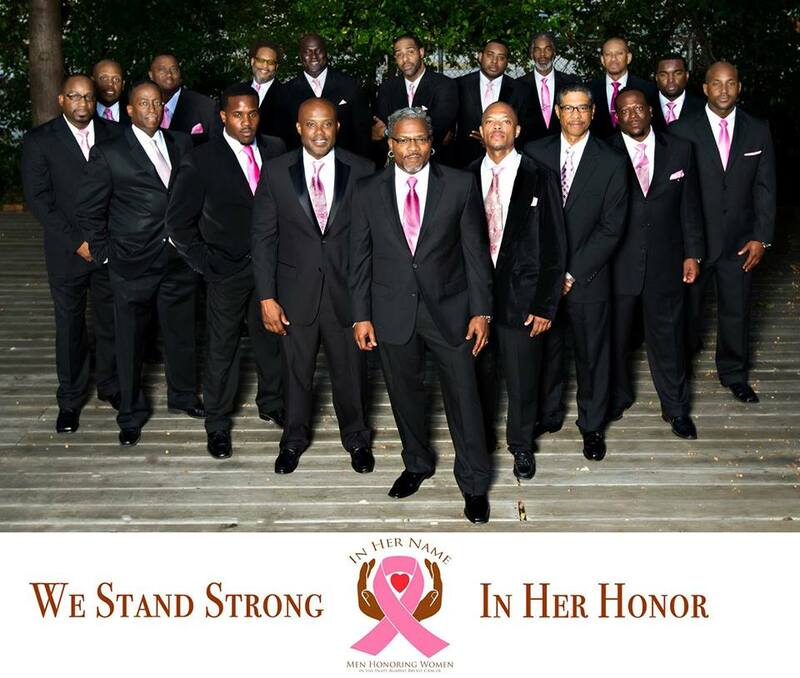 “IN HER NAME” is an Affirmation Event produced strictly by Men in Honor of Women in the Fight against Breast Cancer. It will take place Sunday October 12th 4-6p.m at Bob Harrison Senior Center in Huntsville, Alabama. HerStory is a spoken story community for women’s health issues, starting with breast cancer and mastectomy. HerStory provides a safe, private place for you to share your valuable personal experiences, problems, and advice with one another. Through these stories you can find inspiration, motivation and information. In HerStory, you record your story with your own voice, or if you prefer, for privacy, we will re-record your story in someone else’s voice. These stories are carefully curated for privacy protection and medically accurate and relevant content. Help us find the stories that are most compelling and helpful for the HerStory community—perhaps yours will be among them! Women must always be cautious and watchful of any changes in their breasts which may signal a malignancy. 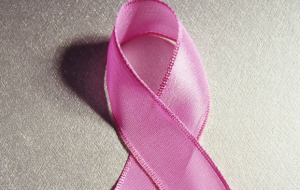 Awareness, early detection and swift treatment increase survival rates. This application signs of breast cancer demonstrate you how to check yourself for signs of breast cancer, as well as what to expect when you seek treatment. Breast cancer is a type of cancer originating from breast tissue, most commonly from the inner lining of milk ducts or the lobules that supply the ducts with milk. 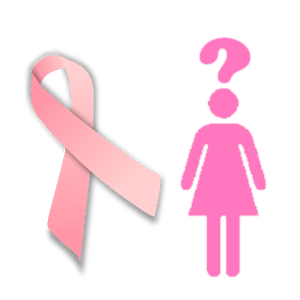 This app describes about the breast cancer, symptoms , fisk factors, diagnostic tools and treatment options for breast cancer. This app estimate a woman’s risk of developing invasive breast cancer using two statistical models: Gail and NSABP provided by National Cancer Institute and National Surgical Adjuvant Breast and Bowel Project. If you are not a health professional, you are encouraged to discuss these results and your personal risk of breast cancer with your doctor. This app estimates risk probability that breast cancer arises over lifetime (90 years), 5 years, 10 years, 20 years, 30 years. If your risk exceeds 1.7% at 5 years, please consult your doctor!